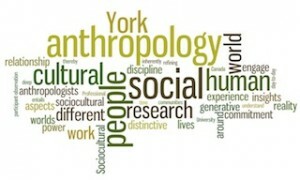 Anthropology is a discipline that prizes cultural relativity and adaptability. We have a global perspective but insist on experiencing that through the local experiences of people around the world. Studying overseas is an excellent way in which to immerse yourself in a social context that is not your own and to learn the limits of your own cultural point of view. Many graduates have expressed the importance of international exchange experiences in the development of their careers. Click here for a video of York Grad and CBC reporter David Common. We offer a Bachelors (BA), Honours BA, International Honours BA, and a variety of minor, major/minor and double major degree programs. Experience at least one full term abroad as a full-time student at one of York's exchange partners. Exchange locations include: Australia, Austria, Barbados, Brazil, China & Hong Kong, Croatia, Czech Republic, Denmark, Ecuador, England, Finland, France, Germany, Greece, Guyana, India, Ireland, Israel, Italy, Jamaica, Japan, Latvia, Lithuania, Mexico, The Netherlands, Norway, The Philippines, Poland, Russia, Singapore, South Korea, Spain, Sweden, Thailand, Trinidad & Tobago, Turkey, USA, Uruguay, Venezuela. York International will help you identify a partner university, and facilitate the travel and course credit transfer. Our Undergraduate Program Director will help you with course selection and managing program requirements. Your peers will share their outstanding international experiences. A York University exchange program is a formal agreement between York University and a post-secondary institution (exchange partner) in another country. York Exchanges are also sometimes referred to as university-wide exchanges. • Students can apply credits earned abroad toward their York degree. • Grades for courses taken at external institutions are not listed on the York University transcript and are not included in the calculation of your grade point average. The credits, however, do count toward your York University degree. • Students on official exchange pay tuition to York University (not the host institution). • Students are eligible to apply for the York International Mobility Award (YIMA) for financial assistance. • Students must attend an information session to begin the application process. • York International assists students during each step of the process. (1) The language of instruction is English , unless otherwise stated. (2) Programs are open to students in all disciplines, at both the Undergraduate and Graduate levels, unless otherwise stated. Internationalize your degree! As a York University student you have the opportunity to spend one term or a year studying abroad! Credits earned abroad can be applied towards a York degree. Tuition is paid to York University (not the host institution). The language of instruction is English, unless otherwise stated. You can go on exchange for just one term or a whole year. The first step to go on Exchange is to attend one of our mandatory Exchange Information Sessions! International Experience Canada (A program of the Department of Foreign Affairs and International Trade Canada). Consult with YIIP for details.Students interested in exploring international internship opportunities can contact Nelson directly at nferguson@cwy-jcm.org. The Ontario Council for International Cooperation (OCIC) is an expanding community of Ontario-based international development and global education organizations and individual associate members working globally for social justice. As a Council, OCIC strives to increase the effectiveness and collective impact of all our members' efforts to promote sustainable, people-centred development in a peaceful and healthy environment. OCIC is committed to principles of fair and equitable cooperative international development and promotes public engagement that helps Canadians develop a global perspective and take action for social justice.